Harry Class (1916-2011) was an exceptional Canadian diver and influential member of the community of Kitchener. In 1934, at the British Empire Games in London, Class won a bronze medal in diving. During the Second World War, he joined the Canadian Army Intelligence Corp and went overseas where he took part in diving exhibitions. After the war, Class settled in Hamilton and worked his way up to chief executive officer of Mrs. Smith’s Frozen Pies. 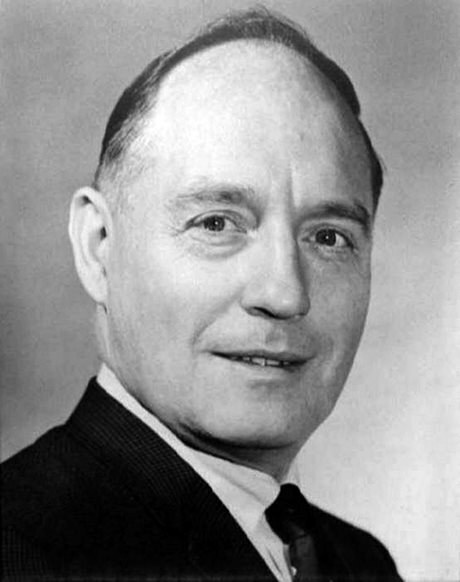 He retired in 1978 and returned to Kitchener where he served as president and coach of the YMCA swim team. Remarkably, at the age of 72, Class returned to competitive swimming and won 16 Canadian championships and set 16 records in the 70-74 age group. At the age of 75, he competed across North America and in Europe, winning 50 gold medals, four silver and four bronze. Woodside Pool, where Class developed his swimming and diving skills, was renamed in his honour in 1992. Visit Harry Class Swimming Pool, at 45 Woodside Avenue in Kitchener, Ontario. Read an article about the life of Harry Class from the Waterloo Region Record newspaper. Learn more about Class from his biography on the Swim Ontario website.